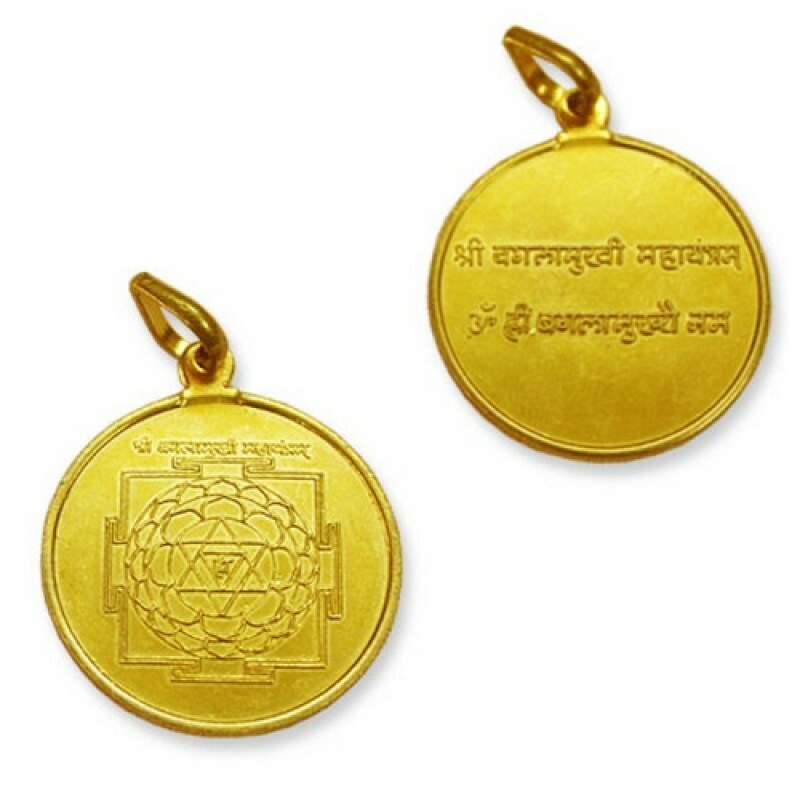 Baglamukhi yantra locket is for protection for cuts, scars, operations and accidents. 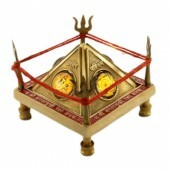 It is very effective to ward off the evil effects of souls and yakshani and also to get success in gambling. Bagalamukhi means "The Crane-Headed One". It is worshipped for power, victory, protection for cuts, scars, operations and accidents and dominance over enemies. She helps achieve success in law-suits and competitions as well as pacify quarrels to the worshipper's advantage. Her worship is also effective in warding off evil persons, spirits and Yakshani. The locket has yantra on one side and deity image of the other side. The yantra would be blessed and energized. Design: Made in pure copper with gold polish.